Yesterday, when my bus took a detour I’d forgotten all about, despite having read the notification just fifteen minutes before, I saw a new-to-me artisanal beer shop on the corner, just a block or so from the flat — The Malting Pot, how punny! The rain and blustery wind are usually a strong deterrent to making any pit stops on the way home, but perhaps because today marked my first-use of an amazing Christmas gift, the RainRaps, I, too, took a detour to the welcoming storefront. An adventure! When I walked in, I was surprised by the size of the shop. 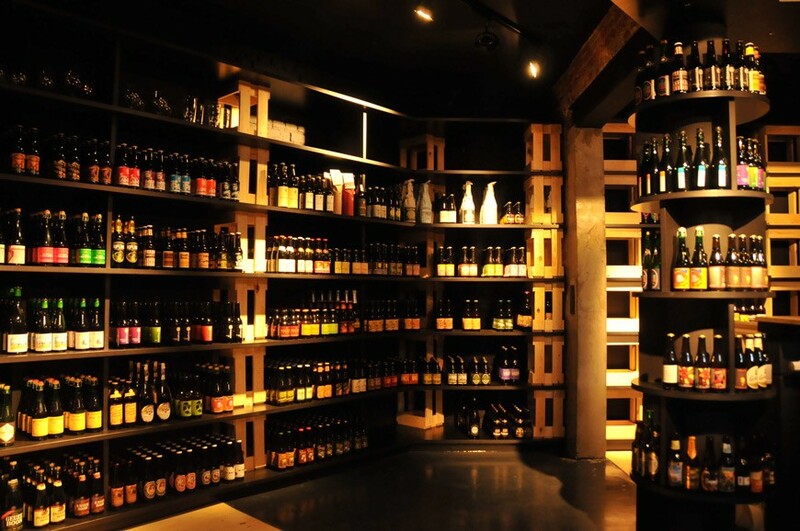 Small, but bright, yet walls packed from floor to ceiling with beers, all neatly and aesthetically pleasing, lined singularly on what appeared to be handmade wooden shelves. As soon as I got home, I took this photo and popped the beer into the fridge. I planned to have it with the last portion of the Crockpot split pea soup I made during the holidays. Though split pea soup is never an appetizing photo, the taste is just perfect if you follow this recipe to a T, and add a touch of sea salt and a nice helping of cracked white pepper just before serving. I’ve enjoyed this batch with Jasmine rice or a slice of multigrain bread, but I’m sure any starch will do. Next time, I’ll experiment a bit with the recipe. 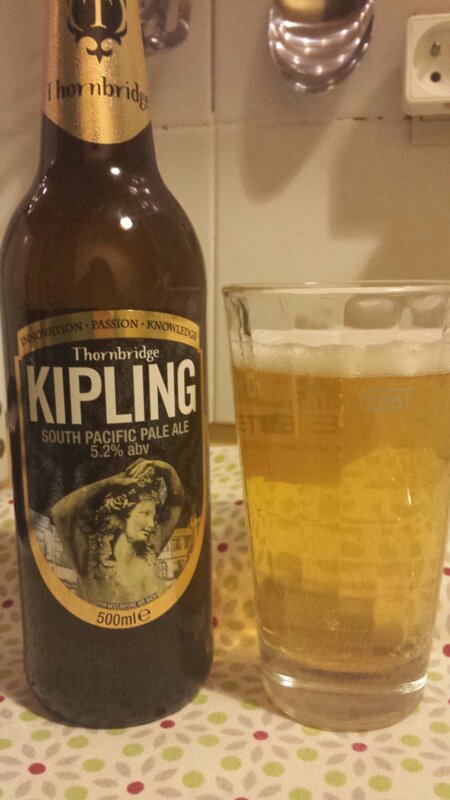 The beer, however ….. I should have known better. 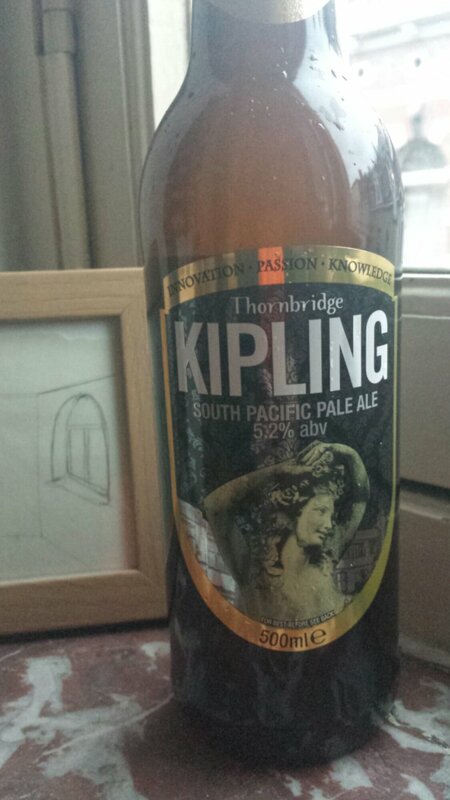 It was certainly full of flavor, quite light and kept its fizz to the end, but I don’t know what I was thinking. When the back of a bottle says, “tropical fruit,” I usually run as fast as I can. Well, I put the bottle down as fast as I can and pick something else up just as fast. But this time, for some silly reason, I thought, “yeah, that sounds great!” Dumb. Dumb. Dumb. In all honesty, though, the beer wasn’t bad. Surprisingly enough, coupled with the salty and spicy split pea concoction, it was rather perfect for the dish. So, I portioned out each bite to coincide with a big-kid taste, and voila! Beer and dinner: gone at the same moment. If I liked tropical fruit, it would have been absolutely lovely. The color was beautiful and it had just the right amount of fizz. In fact, on the back of the bottle, it says that it is devoid of all the typical beer-making additives, so it was actually quite refreshing. If you like tropical notes, drink this. If you don’t like tropical notes, though, then my firm advice is: don’t, unless you’re up for an adventure or are willing to pair it with an appropriately substantive meal. I couldn’t bear the thought of throwing it away, though (blasphemy! ), so, I suffered (not so much) through a full half liter.